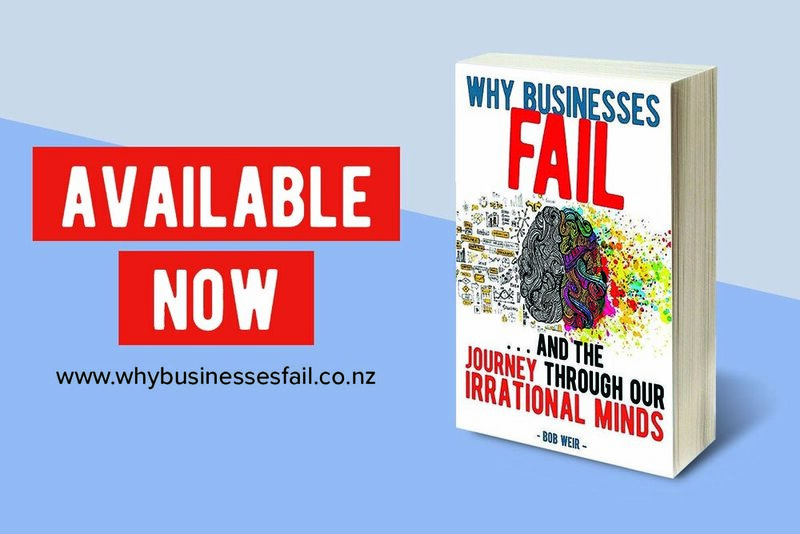 Why Businesses Fail by Bob Weir is Out Now! Thousands of New Zealand businesses are liquidated every year. Many thousands more simply disappear for reasons we may never know. Take a journey through hundreds of case studies and stories on failed businesses. Explore the role the irrational human mind played and most importantly, how to be more successful in business. Regardless of where your small business is at in its life, it’s likely that you’ll need good quality, affordable advice and dependable support to help you get the most from your small business. But the business advisor support you need might vary significantly depending on how established your businesses is or how experienced you are as a business owner. The support you can afford will also vary greatly depending on where your small business is at today. At Pinpoint Business, we’re here to help. We’ve structured our business advisory services (and our pricing) to align with the needs of any small business owner, tailoring our help to align to three distinct small business sizes—Micro, Small and SME Businesses. See which of the descriptions outlined below sounds most like your situation, then click on the link provided to discover the specific support and advice services we offer to help you make the most of your micro, small or SME business.